KiwiRail marked Rail Safety Week in New Zealand with “Conscious Crossing”, an experiment run on a dangerous pedestrian crossing in Lower Hutt. Moveable rail guards were installed in the lead up to the crossing in Epuni, requiring pedestrians and cyclists to navigate a different approach each day. The Conscious Crossing experiment documentary includes interviews with crossing users, exploring the impact of the rail guards on attention to rail safety. There is an increasing trend in incidents involving pedestrians, particularly at urban level crossings. Reports from train drivers and CCTV footage show that people are failing to take due care when crossing at level crossings. Sometimes people cross the tracks after a train has passed but while the alarms are still operating. They don’t seem to realise is that there is often a train coming from the other direction. There are also a number of incidents involving people wearing headphones and using mobile technology around crossings. “People forget that when they approach a crossing they’re taking a risk. They get used to signage and become overly familiar with the area. Complacency and distractions like cellphones and headphones mean that people often don’t consciously check for trains”, Tracksafe Manager Megan Drayton says. KiwiRail Chief Executive Peter Reidy says this year’s campaign has been developed as a result of an increasing trend in incidents involving pedestrians, particularly at urban level crossings. 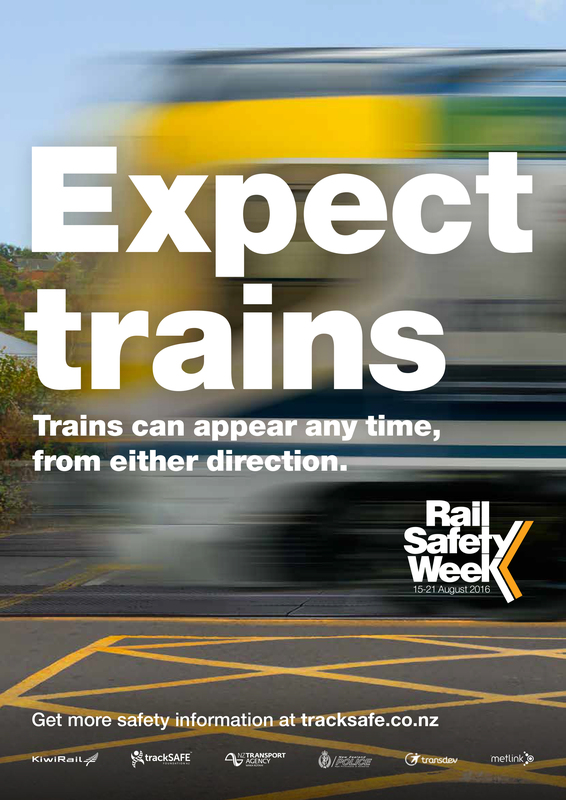 Rail Safety Week, promoted online at www.tracksafe.co.nz, is coordinated by KiwiRail in close partnership with TrackSAFE NZ, NZ Transport Agency, New Zealand Police, Auckland Transport, Transdev Auckland, Greater Wellington Regional Council and Transdev Wellington. 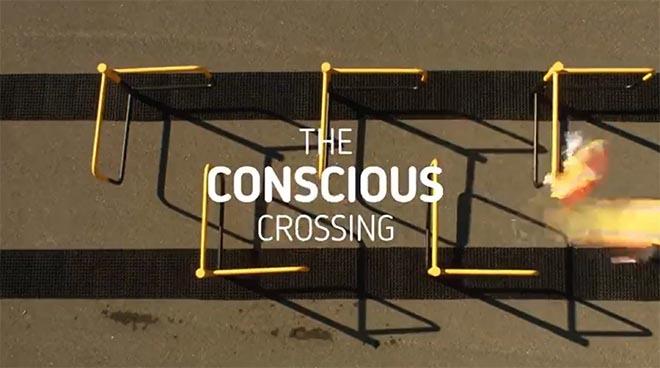 The Conscious Crossing campaign was developed at Clemenger BBDO, Wellington by executive creative director Brigid Alkema, creative director Emily Beautrais, copywriter JP Twaalfhoven, art director Steve Hansen, executive producer Christina Hazard, account director Claudia Zwimpfer, agency producers Carly Neemia and Carne Godfrey, account manager Fern Holloway working with Tracksafe NZ Foundation manager Megan Drayton and KiwiRail Rail Safety Week coordinator Kirsten Kilmister. The case study was produced at Flare by DOP/editor Dan Monaghan, camera operator Ollie Stent and sound designer Paul Stent.